Line a three-pound loaf pan with plastic wrap, making sure that the wrap hangs over the sides of the pan. Place mango sorbet into the loaf pan and spread into an even layer. Freeze until very firm. 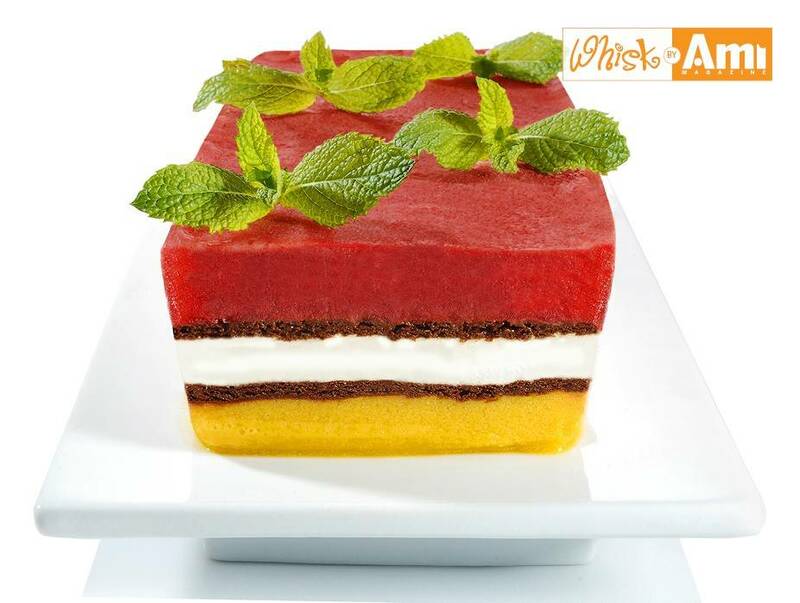 Place six ice cream sandwiches over the mango sorbet layer, in three rows of two ice cream sandwiches each—the narrower part of the ice cream sandwich should be facing the front of the trifle. Freeze until very firm. Spread softened berry sorbet evenly over the ice cream sandwich layer. Freeze until firm.